Everyone struggles with making time for health and fitness. We simply live incredibly busy, fast paced lives. When you add parenting into the mix, it can feel like attempts at a regular exercise routine are impossibilities. 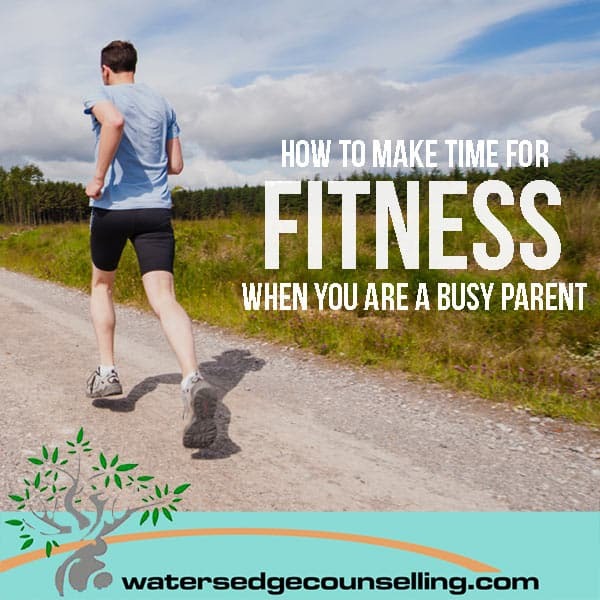 When you can’t even find time to go to the bathroom or to cook a meal without some sort of interruption, how can you make time to be fit? Although you love your children, they do make time management a foreign concept. Between chores around the house, the demands of your workplace, school, appointments, caring for your kids, and all the rest, there isn’t much time left to get your exercise on. But, there are a few things you can do to get the “me time” you need to be healthy. If you made an appointment at the dentist or your child had a performance one evening, you would put it in your calendar and you would make sure that you showed up on time. Use that same tactic to find time to work out. When you put down a time in your planner, just as you would for any other important appointment, you feel like you need to follow through. Make your yoga or spin class part of the family calendar and treat it as non-negotiable. When you practice fitness first thing in the morning, you don’t want to slow down to decide between black sweatpants and patterned ones or to pick a sweatshirt that matches them. First, let go of the idea that you need to look perfect. The important thing is that you get active—how you look doing it is secondary. Secondly, stop trying to decide in the AM. Pick out your clothes the night before and have them ready to go. Heck, if it helps, just sleep in them. Do whatever you have to do to make getting up early to exercise something you can maintain. You can’t always count on sneaking out of the house for a run while your kids stay at home with another caregiver. If you are a morning jogger and your kids are getting up earlier and earlier, you don’t have to give up on your run. You can throw them in a jogging stroller and take them along with you. During your run, you can chat with them and sing with them and enjoy each other’s company. You are also setting a healthy example. You will have to plan a little, like bringing books and snacks, but you can get those things ready the night before to streamline getting out of the house. People who work out don’t magically find the time, they take the time. Most people have time in their day that is spent doing activities that kill time, like cruising Facebook or playing games online. When you assess how you spend your day, keep an eye out for times that could be carved out to get active. If you can, take a little time from multiple activities (so you don’t have to give them up entirely) and combine those small increments into one large chunk. There will be days when everything will go haywire and you won’t be able to do the amount of exercise you had planned to, or you may not be able to do any at all. You have to accept what you have available to you and make the most of it. Don’t stress and don’t compare yourself to other people. As long as you are making the effort to be healthy, enjoy your successes. Do you feel overwhelmed by your parenting responsibilities? Would you like to like a balanced, healthy life? Call Colleen on 0434 337 245 or Duncan on 0434 331 243 for a FREE 10 minute consultation. To make an appointment, go to BOOK NOW and you will be able to access Watersedgecounselling’s online appointment diary. Esmeralda A. Anderson is a health and wellness blogger that writes about parenting, mental health, kids, marriage, self-improvement, divorce, relationships, addiction treatment for heroin and more. Most of her works are published in health magazines. Follow her here.